« Is Walt Disney World Getting Too Expensive? There have been several stories in the news recently about safety in theme parks and I figured it would be a good time to address some of these since we’re entering the busy season for 2015. At the end of the day, the reason these even make the news is that it comes as a shock to many that bad things happen in a place where everyone goes to have a good time and escape the problems of the real world, but believe me, they do. In 2014, riots broke out at Six Flags America, located in Largo, Maryland, during Fright Nights where local high school students unofficially declared it “purge night” named after The Purge films from Blumhouse Pictures. For those unfamiliar, the movie takes place in a fictional future of America where the government allows all crimes to be legal for one night each year. As fights broke out at Six Flags that night, teenagers could be heard chanting “Purge! Purge! Purge!” over and over again in several videos posted online. A 13-year-old and a 15-year-old were hospitalized due to injuries, but that’s not all. Another 15-year-old boy was in a coma after he slammed his head into the ground and teenagers continued to beat him while unconscious. A few days later, surgeons had to remove part of his skull in order to allow swelling in his brain to expand and heal. 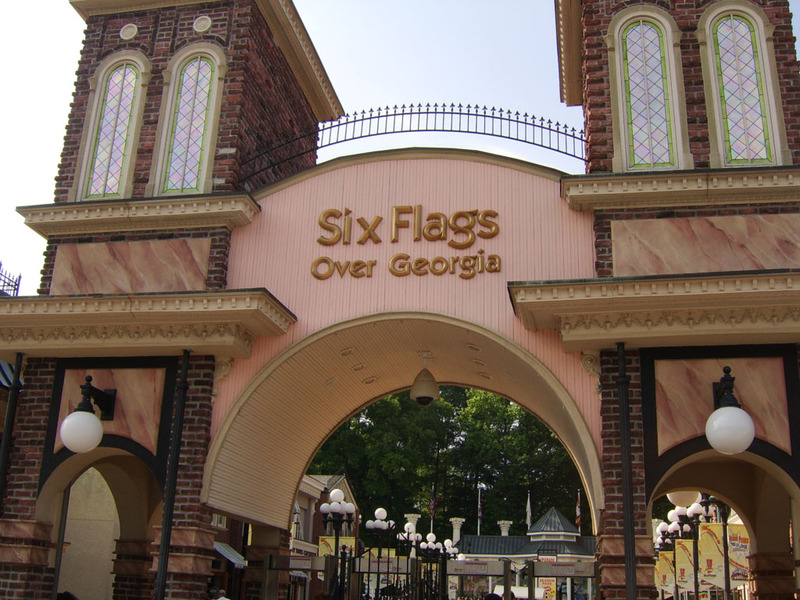 “The unacceptable behavior and events that occurred yesterday, acted out by some unsupervised youth, are in no way typical behavior for our park or the surrounding area,” Six Flags park spokesperson Havilah Ross said in a statement. Maybe that is true, but this is not exactly an isolated incident for the Six Flags chain. As reported several times on this site, Joshua Martin was beaten by gang members just outside of Six Flags Over Georgia until he was put into a coma in 2007 and now lives with severe brain damage. Six Flags was sentenced to pay 92% of the damages his family was seeking in a civil suit, which equals about $32 million. Hardly chump change. This is hardly a recent problem either. Back in 1985, six people were stabbed and 21 were arrested in a “School’s Out Party” for local Los Angeles high school students at Six Flags Magic Mountain. All of this was related to gang violence from the Santa Clarity Valley area, which Magic Mountain was considered to be part of their “turf” and thus spurred the violence to break out all over the park. At the end of the day, if people want to do harm just about anywhere, they will find a way to do it… even to themselves. More recently, a man committed suicide at Universal Studios Hollywood on April 3, 2015. Even though the park has a bag check, he concealed his gun under his clothing, which can go undetected. Even though his ex-girlfriend had two restraining orders against him, he got close enough to her by entering the park. While he had some mental issues, one has to wonder what would have happened had he wanted to do harm to other individuals. 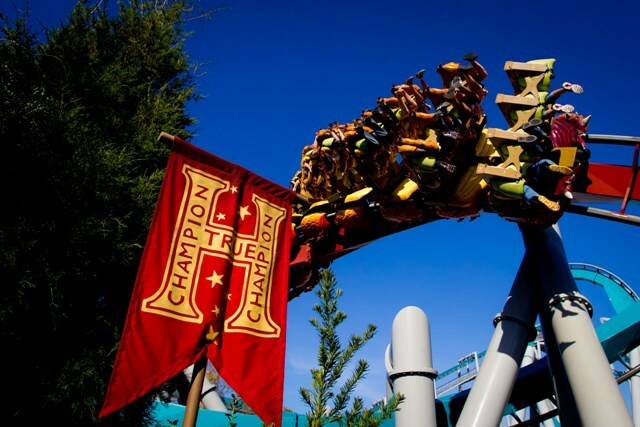 In 2011, a man was struck by a flying object on Dragon Challenge at Islands of Adventure and ultimately he lost the use of his right eye. Universal never released the findings of their internal investigation, but inside sources have told me for years that a coin is what hit the man and it could have been done with malicious intent by someone on the other train. Does the intent matter? Could loose change coming from someone’s pocket or hand cause such a thing to happen? It’s entirely possible. All of these incidents made each park change the way it looks at security. 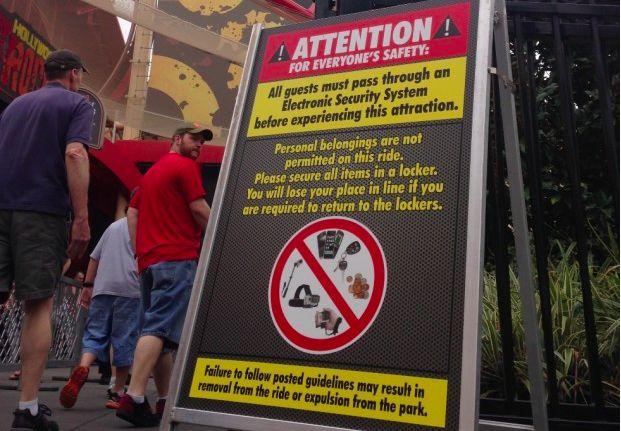 Some are highly noticeable to the guest, like metal detectors before you enter certain theme parks. Some are less obvious, such as increased security presence and even having local county officers on site during regular operating hours and even more at special events. 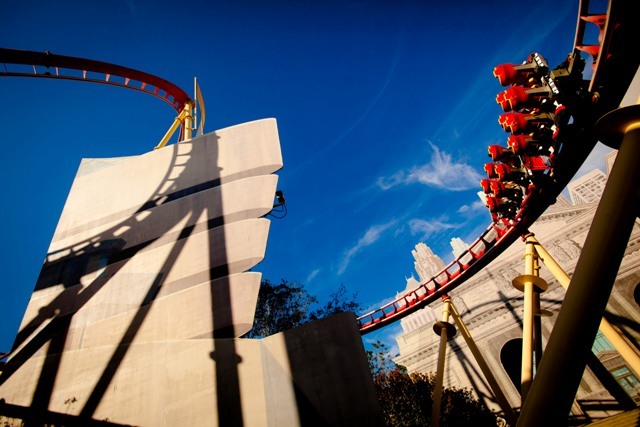 Which leads us to the recent decision to add metal detectors at Universal Orlando which will soon cover Rip Ride Rockit, Dragon Challenge and The Hulk. I may be the only one who understands the reasoning behind this decision and while I am no more of a fan of going through a metal detector at an airport than I am entering a roller coaster queue, but I understand it. I’ve seen several theme park fans ranting online about how they will not only no longer ride those attractions, but they refuse to return to the park or renew their annual pass as a result of the new policy. Sure, you can bring glass, wood or fold up a park map into the shape of a pointy spike and bring it on a ride and it could very easily be used as a weapon. You can’t stop crazy, but you might be able to help dummies who don’t understand that the signs stating no loose objects on a ride are not as much of a suggestion as it is a requirement. It’s also a fair bet that over 50% of people who don’t dump their pockets out into a free locker have metal objects in their pockets. Perhaps a side effect of the metal detectors that goes far beyond safety is how often keys and phones are lost on these rides on a daily basis. Sometimes those items can be retrieved and sometimes they end up in a lake or smashed to pieces on the concrete below. Before you savvy theme park fans rise up and say, “well, they were warned. It’s their own fault if they don’t listen!”… you’re right, but you’re also wrong. Uncontrollable factors like rain or even losing items on a ride can dampen someone’s day even if the park can’t control any of those things. Yes, people can base their intent to return to a park based on something that the park has no control over. It’s true of any business. However, you can take steps to at least try and make sure some of those things don’t happen, including making sure guests don’t lose keys and cell phones on roller coasters by adding metal detectors. Side benefit: it decreases the risk of someone getting hurt by flying debris, but doesn’t completely eliminate it. 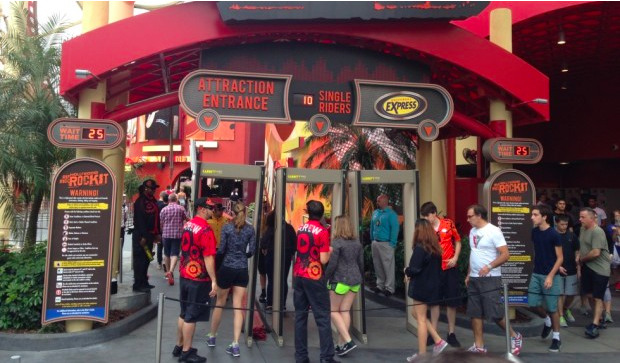 I’ve been to Universal Studios Florida on three separate occasions now and watched the operations team at Rip Ride Rockit wave people through the new metal detectors. While I waited for a fight to break out or even for a guest to raise their voice, it never happened. No one complained that their civil liberties were being infringed and frankly, no one seemed to question it at all. I’m not saying it hasn’t happened or doesn’t happen, but as with many theme park policy changes, the fans online are making it out to be a much bigger deal than it actually is. So can we please cut Universal Orlando some slack and let them run the park as they see fit? Metal detectors are not that big of a deal. Your thoughts? Make sure to follow Theme Park University on Twitter and like our Facebook page! Doing any shopping online? Click any of the Amazon links on this page and it helps TPU pay the bills and costs you nothing extra! This entry was posted in Theme Parks 101, Universal and tagged Fright Fest, Metal Detectors, Riots, Six Flags America, theme park safety, theme park security, Universal Hollywood, Universal Orlando. Bookmark the permalink. Trackbacks are closed, but you can post a comment.